There is no free t-shirt for this year Guardian Walkathon 2012, I saw some people wearing the Guardian Walkathon 2008 shirt. Anyway I manage purchased this loving pair of shirts for mother and son, sorry no size suitable for my dear. My dear is plus size XXL and there only have XL size. The shirt I am wearing only L size a bit tight as you can see, there's white colour but I prefer red! What do you think of the red shirts for mother and son? 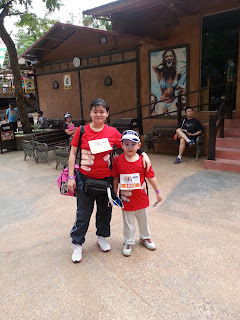 I need to put the goodie bags and bag, plus backpacks in biggest locker of Sunway Lagoon because it is so heavy! The locker rent cost RM30 and I can use it multiple time. The sling bag I am carrying contains of clothes to change and towel. There's a backpack for shoes to change because we wearing the sports shoes to go for the walk and go play at water park we change to sandals. After registered getting the numbers and pins for the walk, we also have wristband for the walkathon we head to Sunway Lagoon. 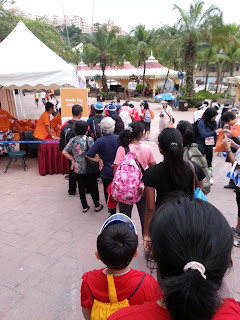 Inside Sunway Lagoon we need to queue up for goodie bag collection. Yeah the ticket we purchased there's three splits one for meal, one for goodie bag, and one for lucky draw. Do you see yourself in the picture above? This drink is very nice it is Red Bull from Europe, the last time I purchased Red Bull in red can that's from Thailand. 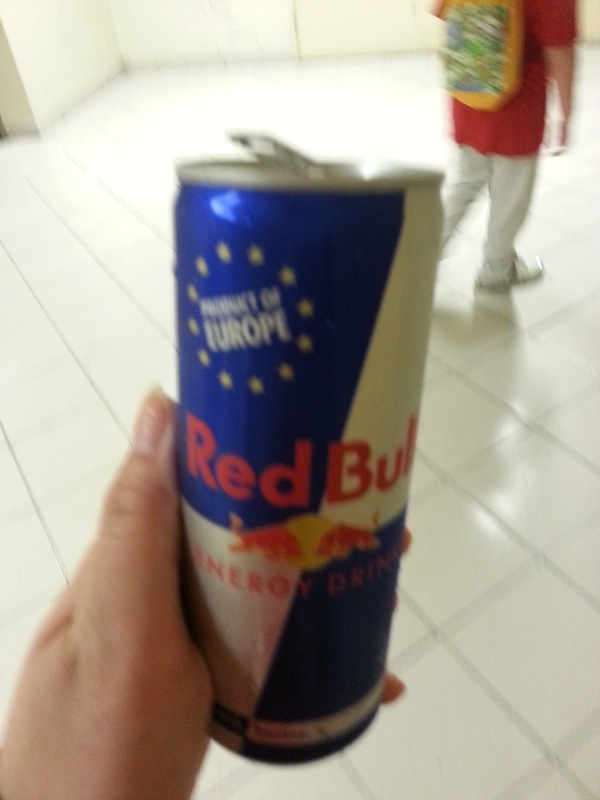 Thanks for the girls from Red Bull truck to give me this drink! My dear first time to drink it. This drink we get it at entrance of Sunway Lagoon at LG2 exit/entrance. Did you get yours? I forgot to mention that there's no food and drink allow to bring in the Sunway Lagoon, so whatever drink and food you have better eat or drink it! There is sport check at the entrance. Cool t-shirts :D Anyways what is the taste of Red Bull? ?